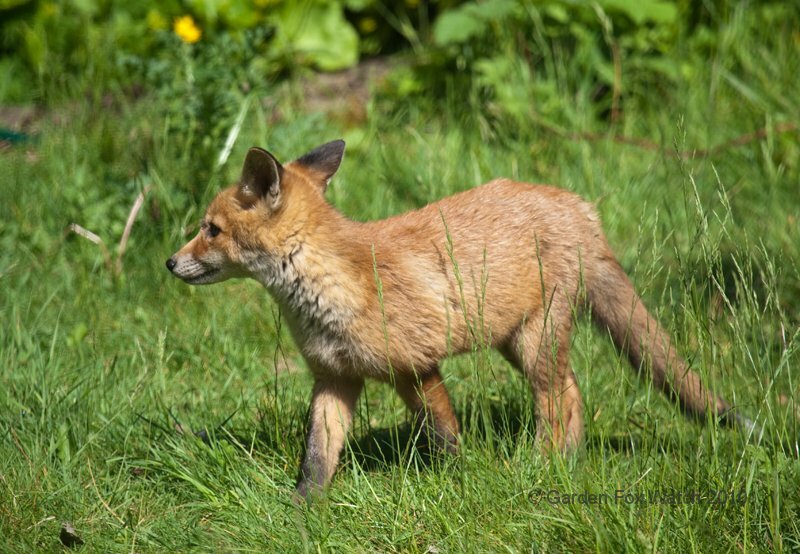 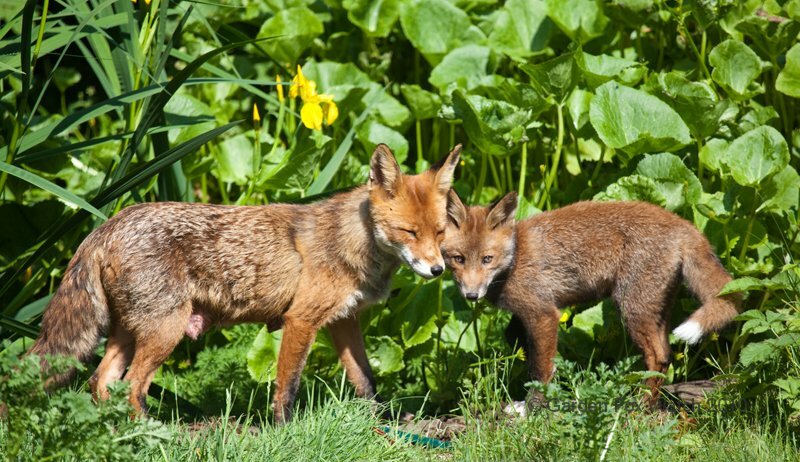 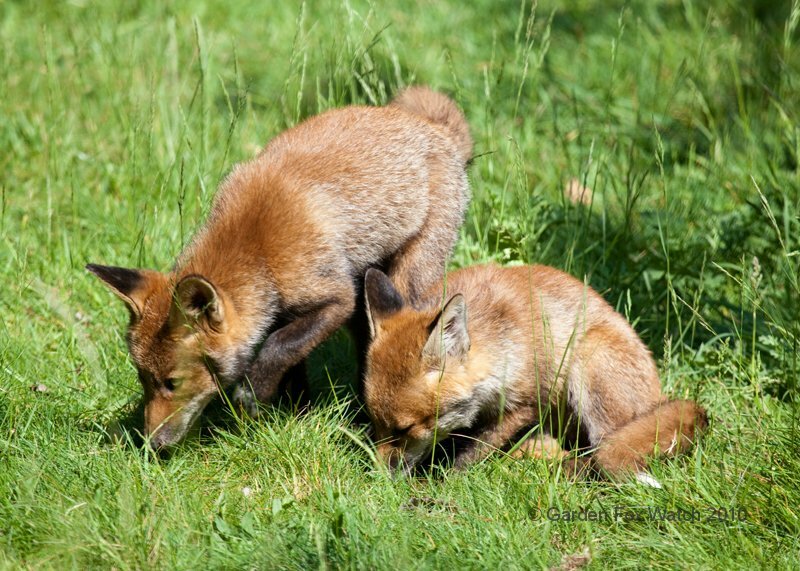 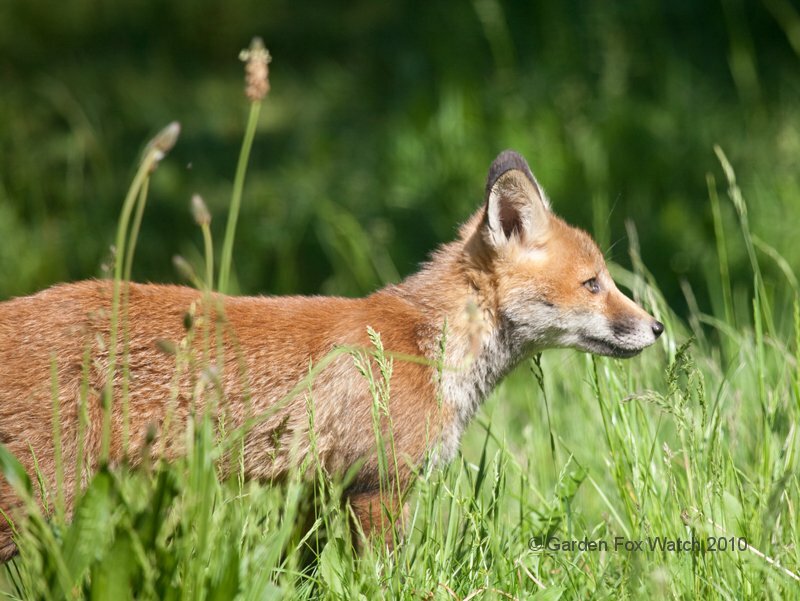 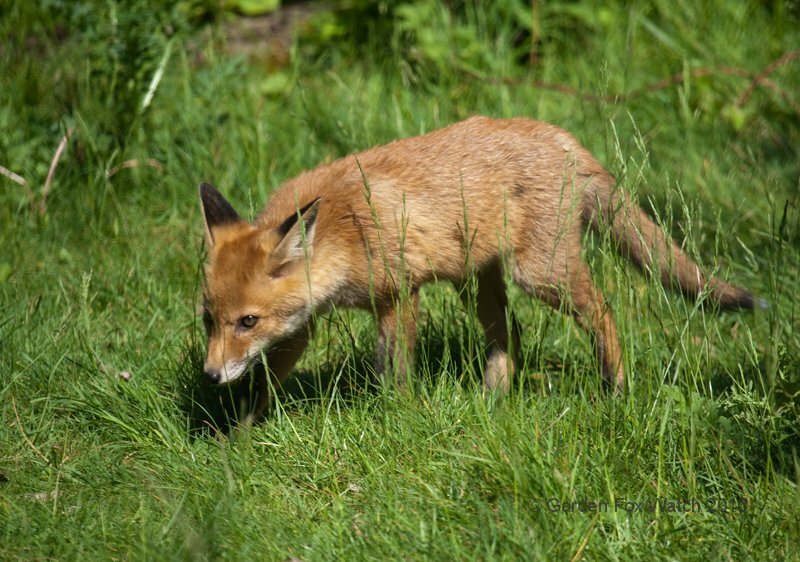 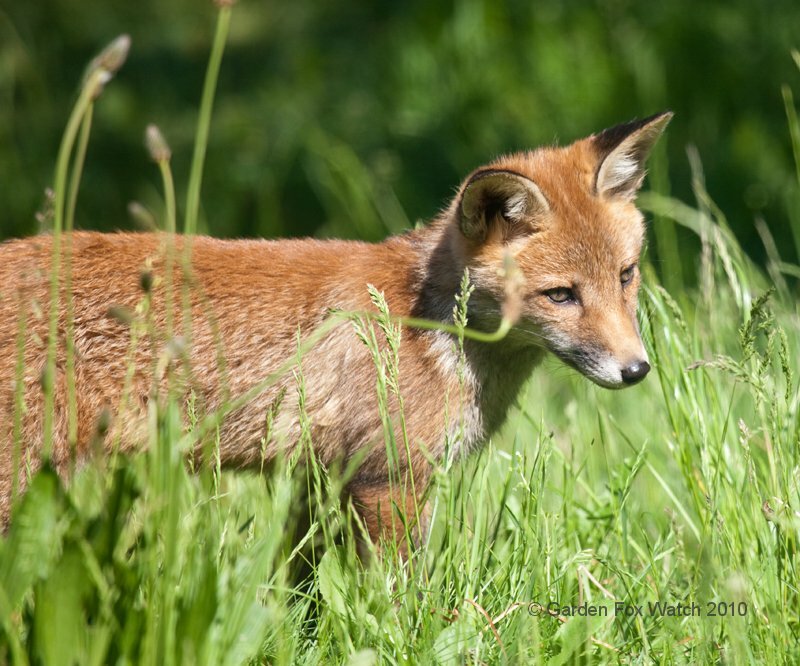 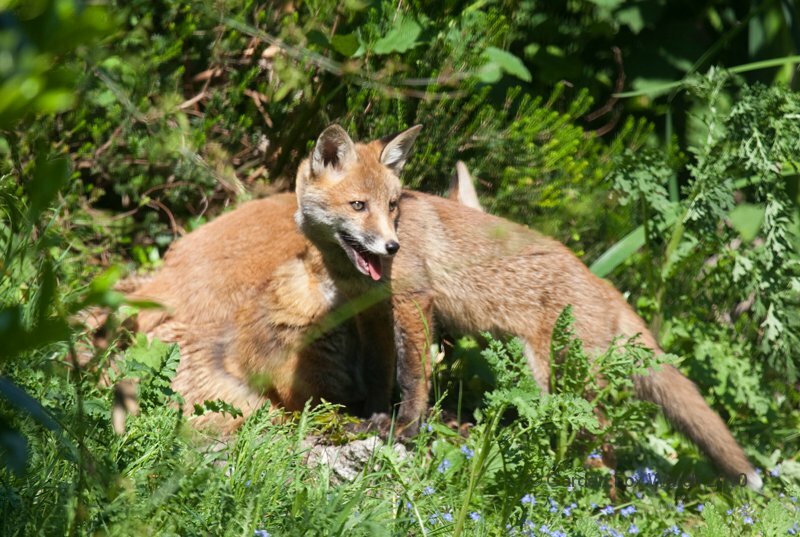 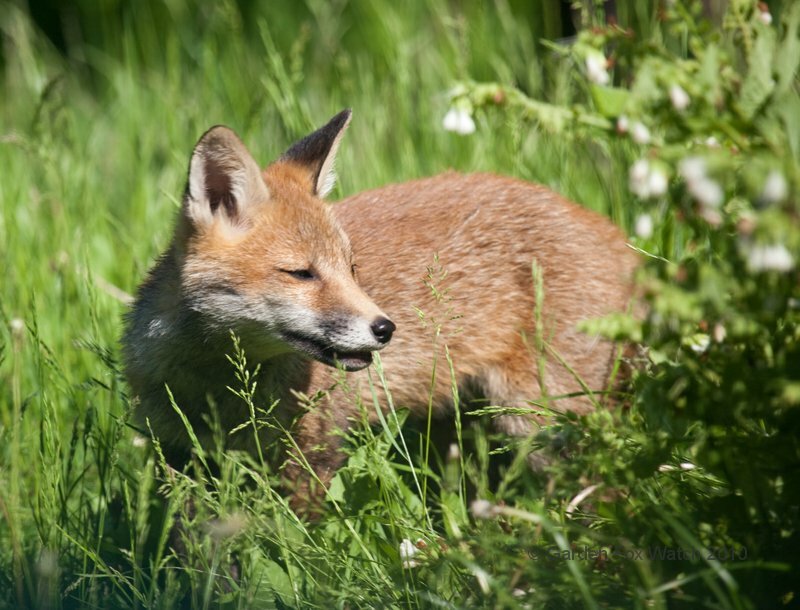 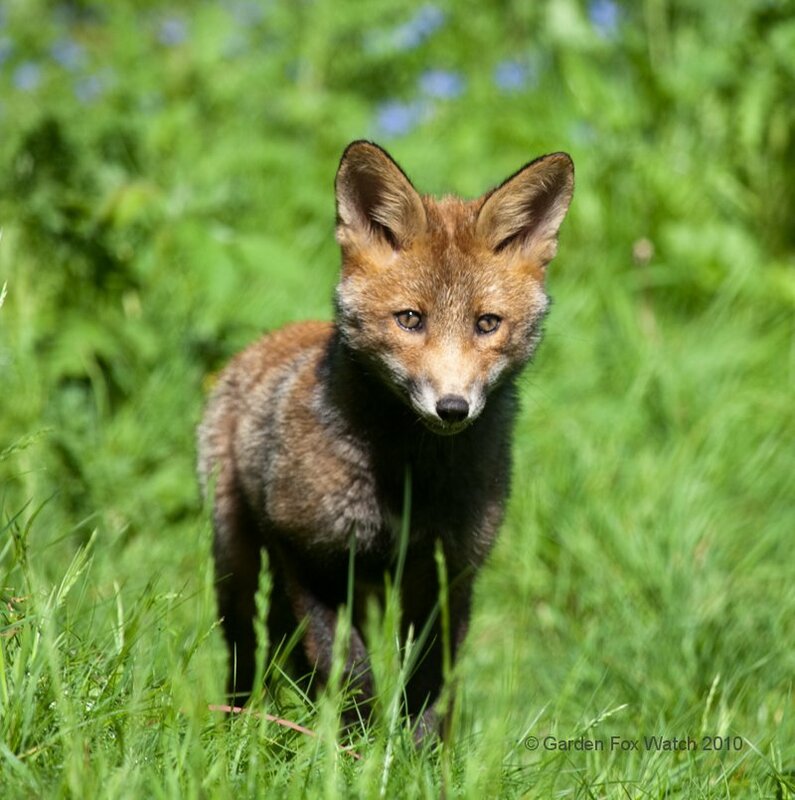 Okay, a little over a month; these photos are from 2nd June, so at the point where the cubs’ fur had stopped being quite so fluffy and had smoothed out a bit, but before they really got to being the lanky teenage foxes that we see at the moment. 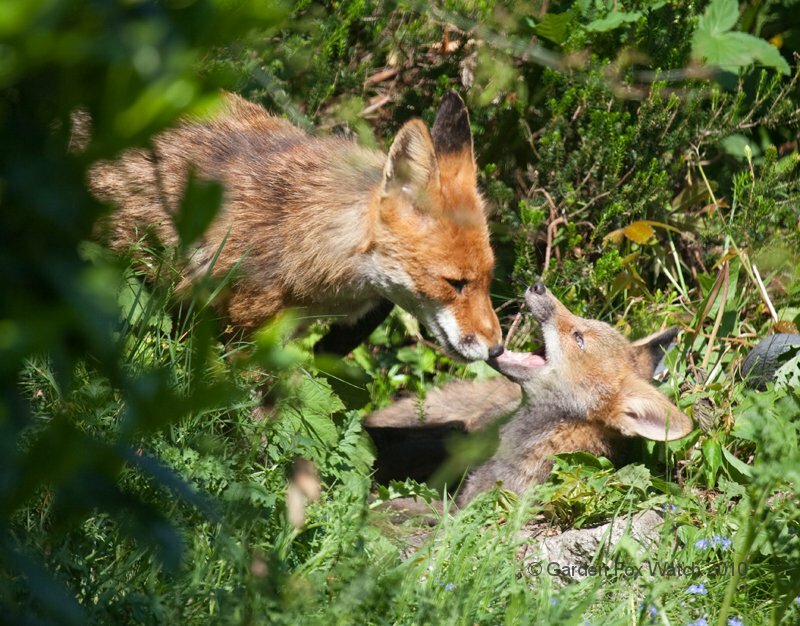 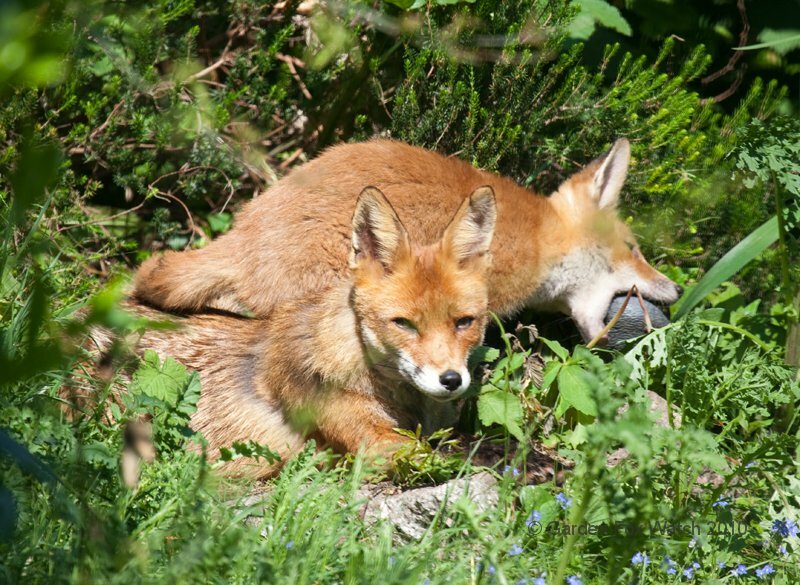 More photo posts to come over the next few days, and also I really must show you some more Foxcam footage! 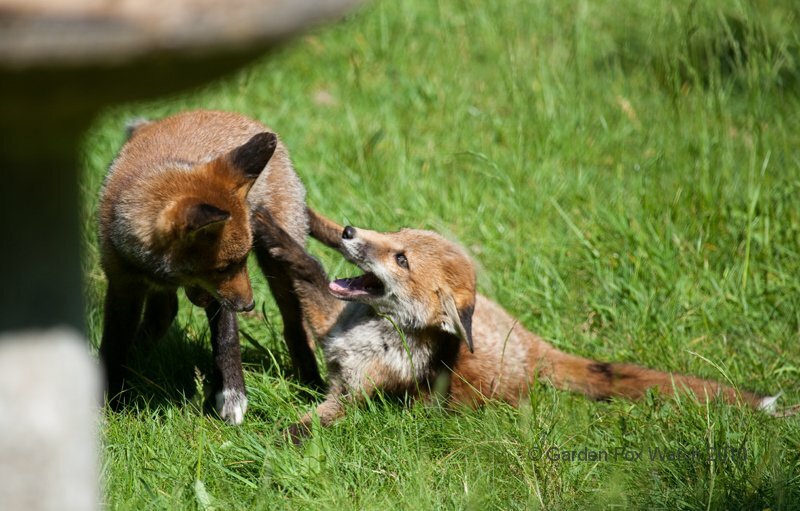 As usual, click on any photo to see a larger version, click on the result to close it back down again.